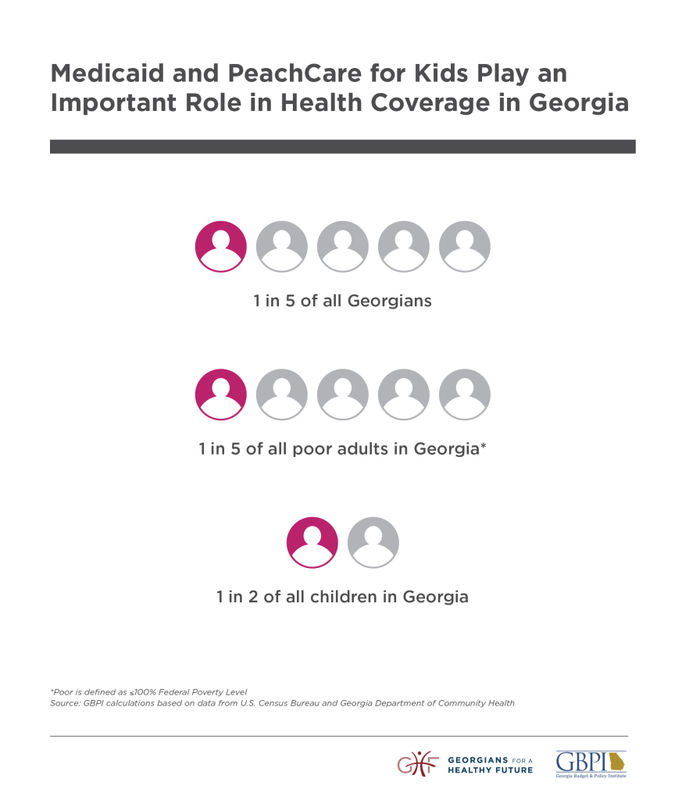 Approximately 1.9 million Georgians have coverage through Medicaid or PeachCare for Kids. While most of those enrolled are children, some low-income parents and people with disabilities are also covered through Medicaid. Because of its essential role in serving children and vulnerable populations, Georgians for a Healthy Future supports policy measures that keep this program strong and able to deliver the medical services that its enrollees need to stay healthy. For more information about our work on children's health coverage specifically, visit this page. New Medicaid, PeachCare enrollment stalled in Ga.